Having originally been commissioned to design and produce Katherine’s engagement ring, I was delighted to be able to finish the job by making the wedding rings. As Katherine’s engagement ring was an unusual shape she needed a custom fitted wedding ring. 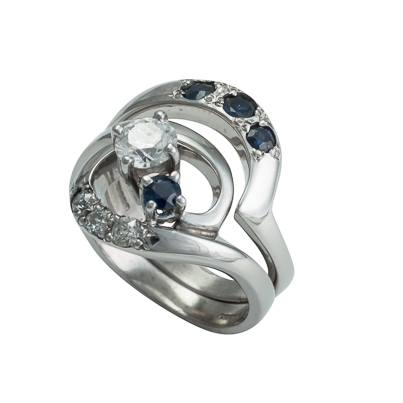 We were able to incorporate the remaining sapphires from her grandmother’s ring into the wedding ring.